Hiding a laundry in a cupboard doesn't mean you have to sacrifice on functionality. Image courtesy of Provincial Kitchens. 'European laundry' is one of those popular terms that's wide open to interpretation and a lot of pointless debate, depending on where in Europe you've been lucky enough to travel, and how much of a cheerful, positive spin your real estate agent or builder is trying to put on a house. In fact, from what we've managed to gather, these days the term seems to be used for any kind of laundry that isn't a standard, dedicated laundry room. 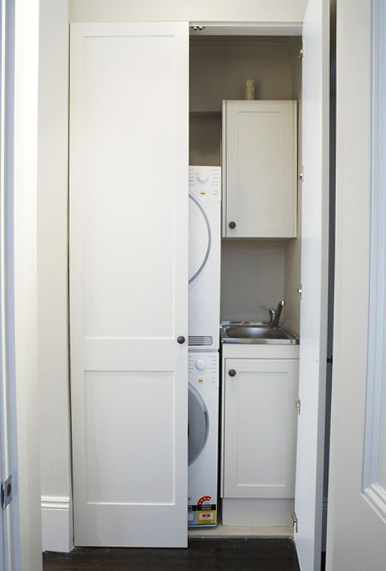 In the name of common sense, we're defining it thusly (and hoping it catches on): a European laundry is a laundry that's tucked away inside a cupboard, typically hidden behind either bifold doors, or pocket doors that disappear into the wall cavity. 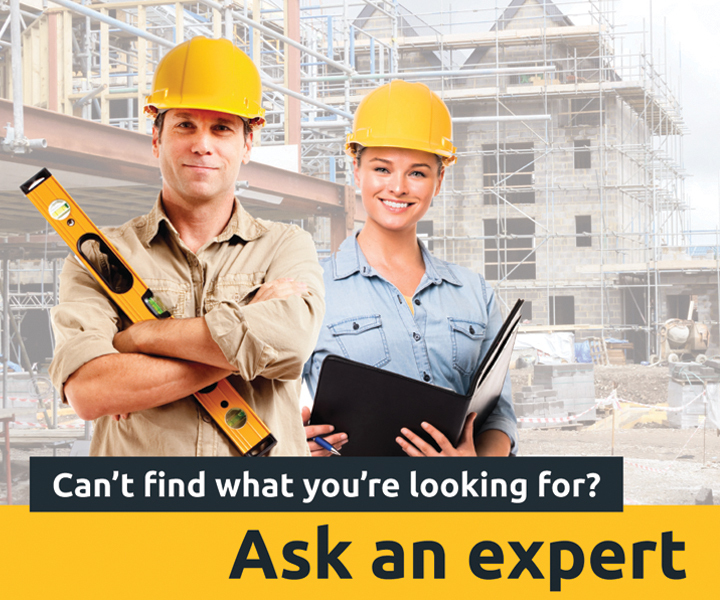 These all make sense - and the first two do have their practical advantages when you consider how efficiently they allow you to combine plumbing piping. But having your laundry appliances out in the open or sharing kitchen/bathroom/laundry sinks is certainly not as tidy or practical a solution as having a full all-in-one laundry-in-a-cupboard though (regardless of where it's installed). Just finding a place for your appliances inside the bathroom or kitchen is likely to be a bit of a mess. Given how loosely the term 'European laundry' is used, if you read that a house or apartment has one, it's always worth taking a look to clarify precisely what that's supposed to mean. What are the advantages of a hidden / European laundry? The biggest advantage by far to a European laundry (i.e. one in a cupboard) is the space it doesn't require. If you don't have room for a full, dedicated laundry room, a European laundry lets you 'borrow' some work space from a different area - often from a hallway, or a kitchen or bathroom if that's where it's hidden. Laundries generally need a little clearance in front of washing machines and dryers. 'Borrowing' this space for the short amounts of time required to do your laundry makes a lot of sense - particularly if you don't have a big family or a demanding laundry schedule. These hidden laundries are most popular by far in flats and apartments where efficient planning of space really counts. Australia has, on average, the biggest houses in the world - chances are if you're building a new house, you'll have all the room you need for a dedicated, full-sized laundry room. What does a European laundry normally contain?